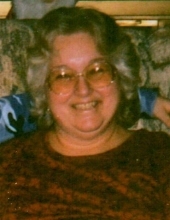 LANCASTER – Margaret M. “Margie” Riendeau, 72, of Bridge Street, passed away Tuesday morning, April 2, 2019, at Weeks Medical Center, Lancaster. Mrs. Riendeau was born in Queens, NY, on May 17, 1946, the daughter of Anthony and Margaret (Pialat) Bender. Margie was raised in Long Island, NY, and moved with her family to Lancaster in 1980. For 25 years she was employed at the Santa’s Village gift shop and retired there as manager. She loved to cook, go shopping, tend her flower gardens and plants, and was an avid reader. She was a talented seamstress and made clothing for her grandchildren. Her greatest love was being a grandmother and spending time with her grandchildren. She was a devoted Catholic and actively attended masses until her health failed. Her late husband was Jack Michael Riendeau Sr. who predeceased her in 1987. Surviving family members include her two children, Lori Hall and husband Corey of Whitefield, Jack M. Riendeau Jr. and wife Mary of St. Johnsbury; two grandchildren Corey Hall Jr. and Cobey Hall; and her good friend and companion Henry Cloutier. Visiting hours will be held Monday evening, April 8, from 6:00 to 8:00 PM at the Bailey Funeral Home, Lancaster. A graveside committal will be at a later date in the Calvary Cemetery, Lancaster. "Email Address" would like to share the life celebration of Margaret M. Riendeau. Click on the "link" to go to share a favorite memory or leave a condolence message for the family.